Many moons ago, I had an enlightening conversation with Captain Don Dingman who has a TV show on ESPN called “Hook the Future.” He told me a story about a 13-year-old girl who was featured on one of their shows. This young woman explained to Captain Don that one day she wanted to be a boat captain, but she was upset that she couldn’t be one. He asked “Why?”. She answered, “Because my Dad won’t let me fish in a bikini”. This 13-year-old girl assumed that you had to have a million followers on social media and dress scantly in order to be successful in this industry. On February 21, 2019, at Marina Pez Vela in Quepos, Costa Rica that stigmata was changed and HISTORY WAS MADE! 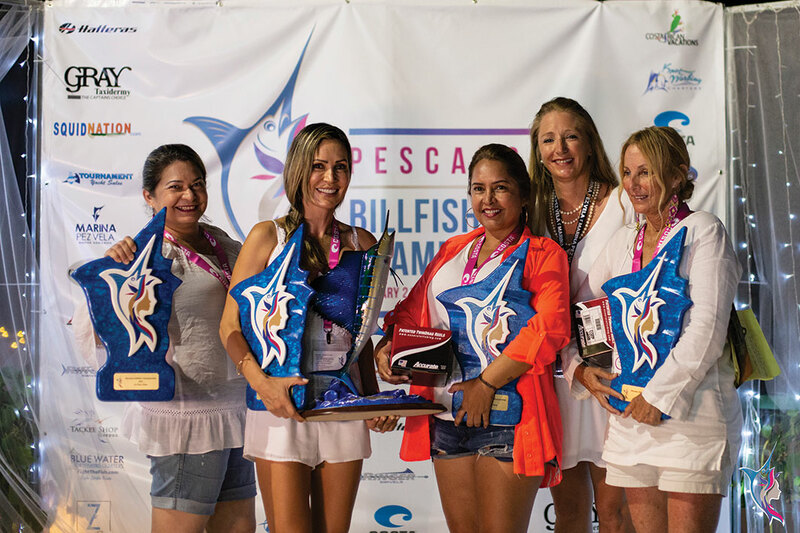 The Pescadora Billfish Championship crowned the World’s Top Lady Anglers! 81 female anglers aboard 22 boats from 7 different countries released 517 billfish, an average of 23 fish per boat. THE MOST FISH RELEASED IN ANY LADIES TOURNAMENT IN HISTORY!! 19 countries followed the leaderboard as women started racking up their releases and making a run to be Female Angler of the Year. On the morning of Day One, assisted by good luck mimosas, Team Uno Mas took an early lead with 28 sailfish releases, and just managed to hang on as Team Big Oh made an incredible push on Day 2 releasing 31 sailfish! 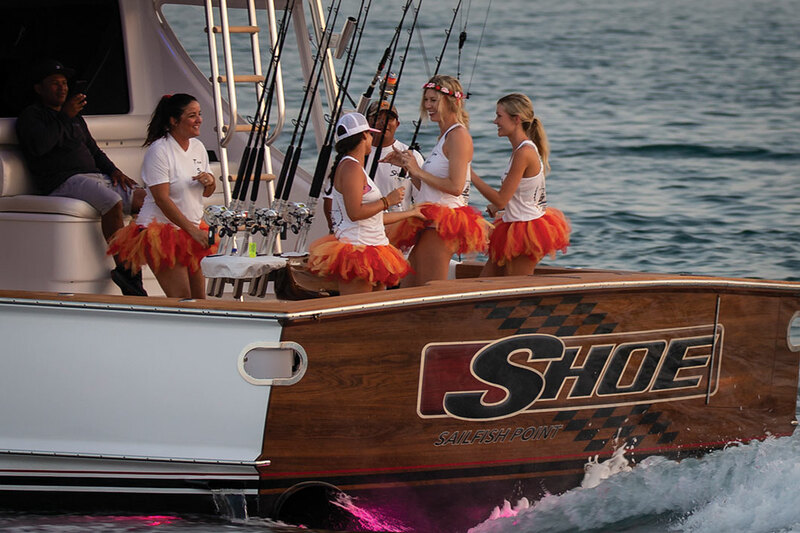 The Cinderella story goes to the ladies of Team Game Plan, three of which had NEVER fished before, releasing 40 billfish for the tournament landing them in 3rd place overall. What an awesome accomplishment! 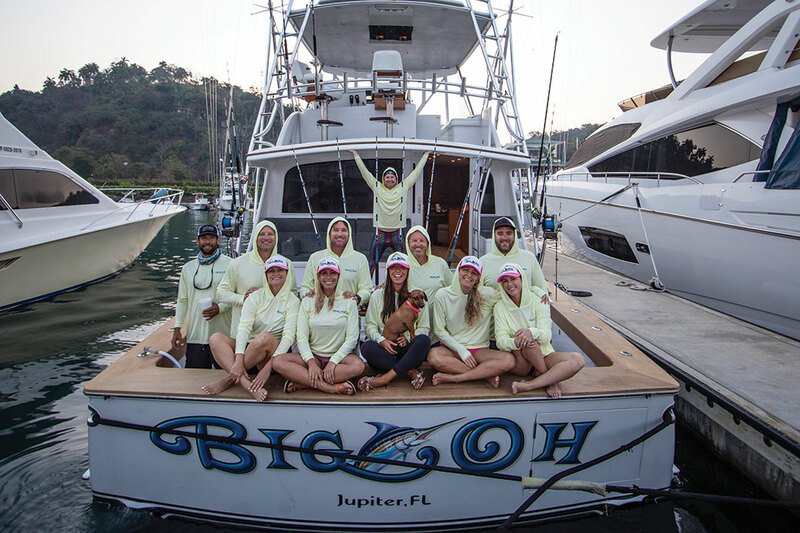 Congratulations to Team Uno Mas, who took home 1st Place Overall with 49 billfish, 2nd place winners Big Oh with 44 billfish, and Game Plan with 40 billfish releases. Each angler on these teams were awarded an awesome custom-made trophy created by local artist, Adrian Valli. We are very excited to announce that Maria Magalhaes and Lacy Ivancevic are the Pescadora Billfish Championship Female Anglers of the Year, taking home the coveted pink Pescadora trophies created by Gray Taxidermy!!!! Lacy, fishing on the Pelagic Magic, released 12 sailfish and 1 marlin in the Hook & Hand Division. Maria, fishing on the Uno Mas, held her lead releasing a staggering 25 sailfish, 14 of them by IGFA release, making her the Female Angler of the Year in the IGFA Release Division. Congratulations to both of these phenomenal women on your incredible accomplishment! 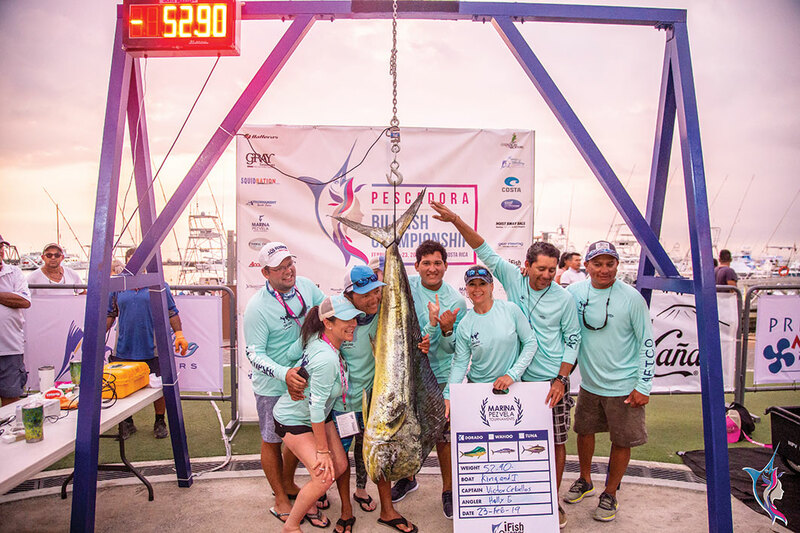 Marina Pez Vela’s own Team Good Day Girls were aboard the smallest boat in the fleet, and managed to win the honors for the biggest Tuna, with a combined weight of 80lbs. One tuna took an epic 45-minute battle to land, and among many others, Marbely Lopez and Cathy Gilmour caught their first ever billfish!! Team Tipsea on the King and I came in strong, winning the Dorado Division with a huge 52.9lb fish! We are also very proud to announce that with the Gray FishTag Model, our Original Pescadoras tagged more billfish in two days than anywhere in the world with almost 200 fish tagged! This is HUGE in helping the Gray FishTag Reseach Program gain the information needed by their in-house scientists to sustain our fisheries for future generations. Bill Dobbelaer, director of the program, was proud to award Kristina Fahmie, of Team Shoe, with a full-size mount from Gray Taxidermy for the most billfish tagged during the tournament. In 2017 over 17 million women went fishing in the USA, we hope to see these numbers grow not only in the United States, but internationally as well. 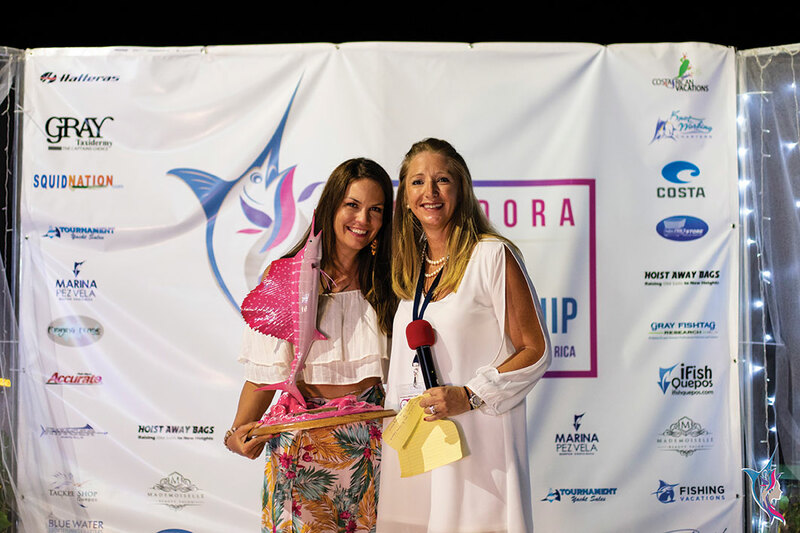 The hard work and determination that each angler showed during the Pescadora Billfish Championship was inspiring not only to me, but to women around the world. As the mother of a 6-year-old little girl, I am reminded that in this an ever-changing world, young women are watching our behavior as adults. This weekend, 81 female anglers, each spectacular in their own way, helped us to rewrite the narrative about who fishing newbies, experienced anglers, and captains are. They can be any of us, you just have to be willing to take the first step and do it. 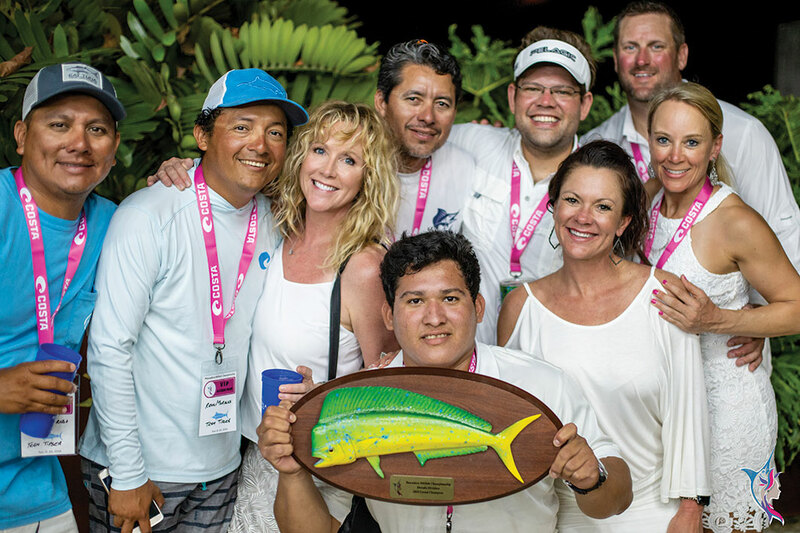 Join us next year on February 20-22, 2020 for the Pescadora Billfish Championship!